Squinting she could see embers and low flames before her. It was cold and growing darker. Where was she? Wriggling till she sat up, she looked about. A bundle of sticks is beside her, and an animal- hide bottle, ‘water!’ she cried. Picking up the bottle raising it to her lips she guzzled the precious liquid. Her head throbbed. Touching the back of her head, her hair was a sticky matt of knots. She’d been hit and the blood had dried. Asher shivered and added twigs to the fire to bring it back to life. She couldn’t remember coming to this clearing. Where is everyone? She remembered many people keeping her warm and fed. Where were they now? She couldn’t recall where the beast had come from or why it lay still and bloodied nearby. The beast was dead. She was sure of that. The stars started to light the sky. Asher rubbed her hands together and pulled her animal hide cloak around her shoulders. Her stomach began to grumble. There was a tent nearby. She got up and went to the entrance. She couldn’t see anything. It was too dark to go inside. She squatted for a minute then looked back to the fire. ‘I know,’ she whispered to the wind. Asher walked back and grabbed a twig, it had some leaves on the end and when she put it in the fire they caught. She walked back to the hut holding the stick up, but, the flames flickered and died. Cross she threw the twig away. Shrugging she moved back by the fire with the beast behind her protecting her back from the breeze. She would investigate the inside of the hut at daybreak. Waking with a start Asher realised she could hear something crunching and growling. She glanced at the carcass of the beast. Another beast was tearing it apart. She rolled carefully onto her side watching. The second beast was more like a dog not a huge cat like the dead animal. The fire was now almost out. She jumped up and grabbed a stick from the embers and waved it menacingly at the creature. It snarled at her then tried to drag the carcass away. It was too heavy for it. Asher yelled and threw sticks at the animal, one hits its snout. With a yelp, it scurries off. It was getting lighter. Enough to see what was in the tent. Slowly she approached, it smelled bad. Once her eyes adjusted to the dim light, she moved further inside. There was a lump in the middle of the floor, a lump covered by hides, like the ones she wore. Edging closer Asher realised it was a person. Asher pushed the shoulder of the body and realized it was a dead woman. Her face and arms were torn and scratched. Asher wept. Her head flooding with memories, this was her mother. The beast had killed her mother! They came here three of them to escape. She couldn’t quite remember it all. She’d had a fever and the Elders wanted the Sharman to treat her. Her mother had come from the outside world and wanted to get white man’s medicine to help her. They had insisted. Her mother said no. She was a strong-willed woman who’d raised Asher and her brother Colu on her own since her husband had been killed in a battle with the next tribe. They’d escaped by taking a canoe and travelling away from the coast. They’d landed on an island. Asher hit her head getting out of the boat. Her mother and brother hastily made camp while she lay listlessly watching. She hadn’t seen the beast come and attack them as she’d been cocooned beside the fire. Then she saw a hide on the other side of the beast. Leaving the shelter she dashed outside to see her him pinned beneath the beast. He’d stabbed the creature as it fell on him. Asher rocked on her heels. Reaching out to touch her brothers’ hand, she pulled at the blade away until she held it. Wiping the tears from her face she stood up and felt an empty space grow inside. She’d lost the only family she’d known. She was alone on an island. The sound of waves nearby was comforting. She left the clearing and followed the smell of salt water to the beach. At the water’s edge with the waves lapping around her ankles, Asher squatted, splashed water on her face, and then dunked the knife into the salty water. It was her knife now. She set out along the beach. The sandy cove quickly led to rocks. Scrambling up, grabbing the sharp shards and grunting as she swung over large stones, she moved high to the top of a ridge overlooking another beach. This is where her mother and brother had dragged the canoe onto land. Now, what could she do? Asher was only a child but had seen her mother make fire and prepare food. Now she was hungry and tired. The fever had gone but she was left alone to survive. She could see offshore many canoes rowing towards the beach. She felt a prickle of fear run through her. Quickly Asher dragged some small trees that had fallen in the storm, to cover the boat. Then she scrambled up the beach. She heard water trickling nearby. Following the sound, she arrived at a stream. She couldn’t risk being captured so she waded along inland in the water. She would survive. She was her mother’s daughter. I woke up and jumped out of bed to have breakfast with my dad while everyone else slept. It was dark outside and would grow light before my mum and sisters would stir. We ate in companionable silence, as we always did. I treasured just being with my dad. I grinned. We’d spent the whole weekend cuddling and playing with this big eared, bright-eyed little ball of fluff. I’m one of five sisters and we all really love our newest member of the family. ‘Come on then,’ dad smiled back at me. The light from the kitchen flooded the entry into the laundry where I could see the kitten sleeping on the doormat. ‘We’ll have to watch out going out,’ dad warned. I picked up the kitten while dad opened the back door and headed out to go to work. The kitten was awake, so I stopped for a little while, petting and playing till it was light and I knew the rest of the family would be getting up. I left the kitten in the box to go back inside to get ready for school. My eldest sisters were getting washed and dressed in the bathroom. My two younger sisters had joined mum at the kitchen table to have breakfast. ‘That’s good dear, now go get ready for school,’ mum smiled. ‘I want the bathroom,’ my next younger sister Judy grunted. ‘You woke up on the wrong side of the bed,’ I said as rushed to the bathroom my older sisters had just vacated. I just had time to wash my face and clean my teeth before Judy came in. Mum yelled out, ‘hurry up it’s nearly eight and time for everyone to go’. The kitten was asleep on the back step again after my older sisters had gone to catch the bus to school. Our baby sister was almost ready and we would walk to the primary school diagonally opposite our house. I rushed into the kitchen still brushing my hair. Judy came out like a tornado and rushed through the back door. Too late, Judy with her bad temper and big feet stood on the poor little thing. 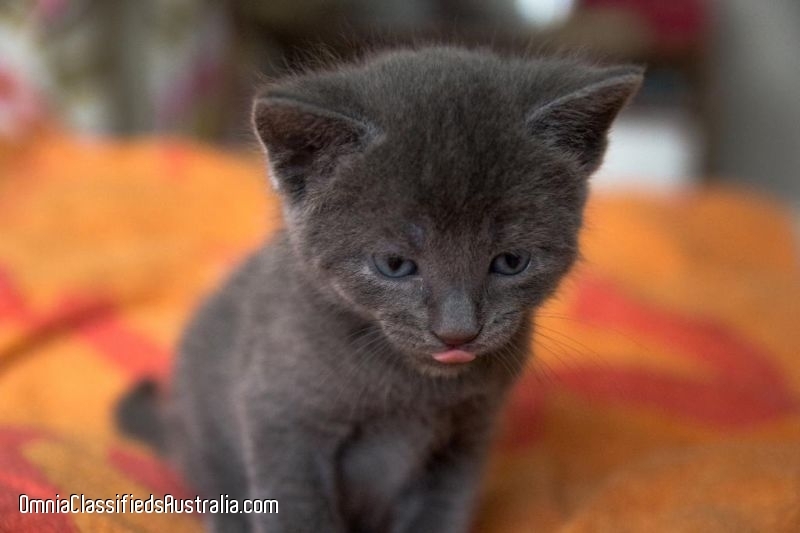 Mum pushed me away and picked up the grey bundle. It was writhing and curling. Mum held it till it stopped. ‘Mum, is it alright?’ I asked. Judy began to wail. Mum put the kitten in the box in the laundry and promised us we could bury it after school. ‘Your dad said we should never have a cat,’ mum sighed. ‘Why mum, we loved it?’ I said. ‘Yes, and when they die it’s hard.’ Mum was still comforting my distraught sister. That afternoon when we all got home from school we buried our little kitten. We hadn’t even decided on a name, not properly. Judy cried the most. We laid little flowers on top of its grave. That was the first time I understood how fragile life could be, and how easy it was to be broken on the inside. The work wasn’t really mine, it was my dad’s. I was about eight and I guess you could say it was the first job I did. Dad worked full time, at a clay pipe factory, only streets from our house. I’m the middle sister of five daughters. I would get up early with dad while the rest of the household slept and very quietly ate breakfast with him. We didn’t talk much, dad was always reading. I was the clean freak nerd of the family, complete with odd-looking spectacles and funny bumpy knees and legs best described as ‘footballers’. We’d jump in the old Holden, I’d slide in beside dad on the bench seat and we’d take a short trip to the next, much more impressive corner building, just off the main street of the town. It was the Town Library. Again I would sweep and dad then got out a huge and very noisy floor polishing machine. The brown linoleum floor was sparkling by the time we left. The best part for me was that I had a really good chance to check out all the books in the children’s section. 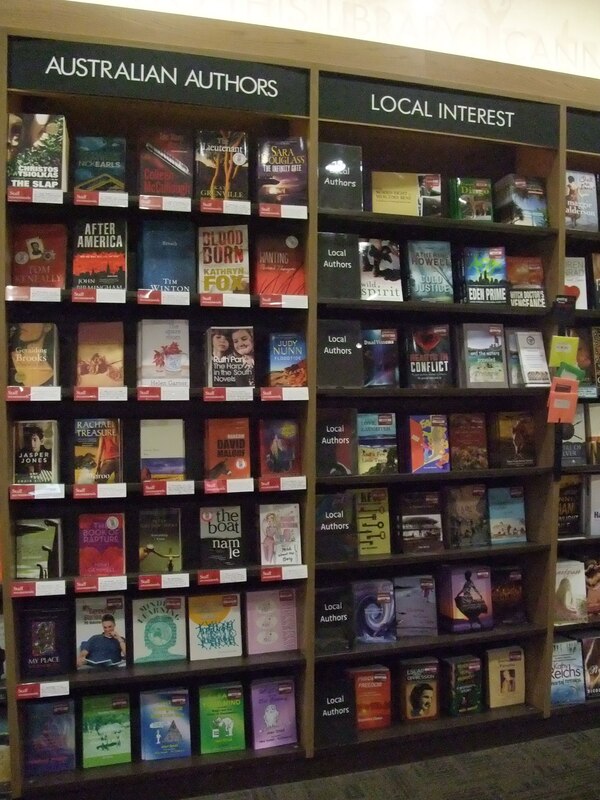 I’d also walk up and down the aisles looking at the hundreds of titles and the sections they were in. Dad was a big reader and I asked him what he liked to read the most. There was always a pile of books stacked beside dads chair in the lounge and he exchanged them at the Library every week. ‘I’ve read nearly all the books in this section, so now I’m reading the reference books.’ I was always amazed how dad could read till late, mum complained about that, yet get up bright and early for work next day. Ted blinked at the digital clock that was beeping on the bedside table. Shortly after young Scott was tapping his shoulder. Ted groaned, pulled back the covers and struggled to his feet. Mel turned over and looked up at her boys. ‘Scott, you need to get new bathers,’ she commented. ‘You stay there love, we’ll be back about seven.’ Ted had pulled on his t-shirt and tracksuit. ‘Drive carefully,’ Mel muttered as she snuggled lower in the bed. Ted grabbed the keys and followed his son out the door. ‘Yeah, yeah,’ Ted unlocked the car, jumped in and turned the ignition as his son strapped on his seat belt beside him. Soon they were racing down the highway towards the beach. It was only a ten minute run to the main strip and just a few more minutes to get to the beach. Scott was hardly listening. He never really did. His mind was on the water and what conditions he would be faced with when they got there. So Ted gunned it along the highway and soon turned into the Esplanade. He didn’t see the cops at the side of the road. He groaned when they flashed headlights at them. ‘My boy has board training and I’m running late.’ Ted explained to the burly Policeman. Ted grimaced. Took the ticket and shoved it in the glove box. They headed off again and arrived to find the training session had begun, the group of under-nine kids were gathered around Damo the coach, hanging on is every word. Scott didn’t say anything. He just jumped out of the car and ran to the shed to grab his board. Damo had sent the boys off for a warm-up run and Scott soon caught up. Ted walked up to Damo after parking the car. They both watched the group of youngsters running along the beach in the half-light. Ted nodded and retrieved the disposable wide frame camera he’d bought from his pocket. Mel always liked to see their son in action pictures. Scott ran out into the waves with his dozen friends, all with boards under their arms. They looked like little specks out on the surface of the waves that foamed and crashed around them in the shallows. Very soon the stronger boys were paddling strongly out past the breakers. Scott wasn’t the best, he always seemed to be mid bunch. Ted didn’t care. He was just glad to be there sharing the moment. The sunlight seeped over the sand and cracked orange and pink in the sky. Ted could hear squeals from the water and looked out anxiously. There were fins in the water. He smiled. The boys were surfing with dolphins. It was an awesome sight. Ted snapped a few frames. Half an hour later the bedraggled and exhilarated bunch returned to the beach. ‘They were really close,’ Ted grinned and handed Scotty a towel. Ted cuffed Scott’s head playfully. Ted looked back as the boys were packing away their boards on the rack. Damo walked up beside him with the broadest grin. ‘That’s for sure, it’s golden.’ Ted replied. Ted squished the cool sand between his toes and checked his watch. ‘Come on Scotty, we gotta get home. Wash your feet before you get in the car.’ He held the towel while Scotty peeled off his wetsuit, then gave it to his son to wrap around his torso. Ted ran his own feet under the tap. They chatted and smiled as they jumped back in the car. They seemed to fly on the journey home. Gold Coast Writers Festival, wine and cheese night not long after my panel session. 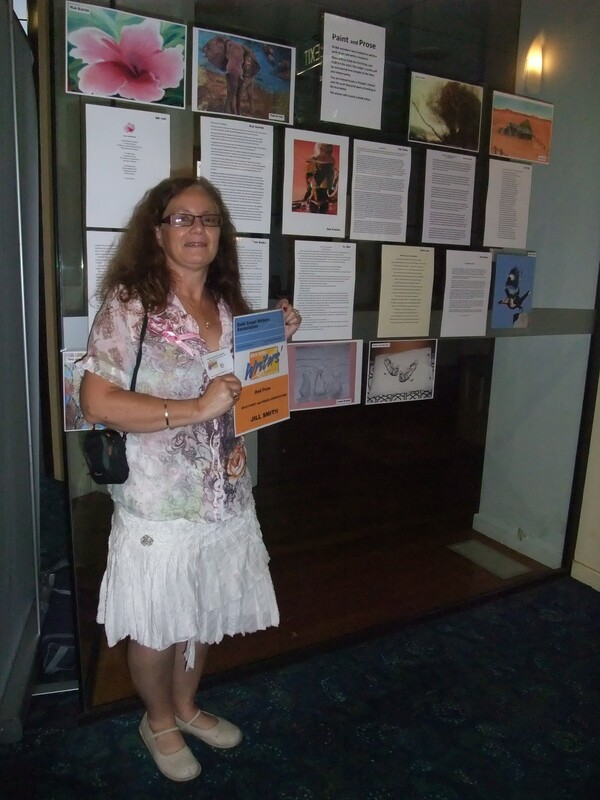 Lorraine Blomberg was the artist and my little story was written to compliment it. Trinny sat on the beach watching the waves. Collie dog crouched at her side waiting patiently to be noticed so they could play a game. Trinny was far too busy discussing adventures with Ted. 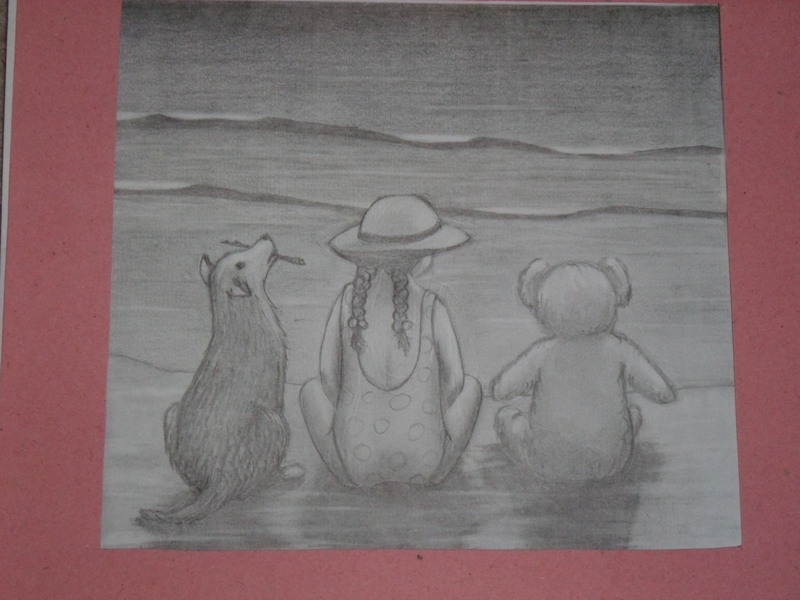 Ted Bear Esquire was her best friend, and he told her about his many adventures in places far across the sea. He described markets with strange sounding names. The many friends he’d met. The sounds of bells and drums, and, the exotic aromas of foods Ted would never try to eat, all just across the water. Trinny got excited. Her braids bounced on her back when she stood up and clapped. ‘I know where we can find a boat.’ She led them to her Uncle’s boat on the pier. Ted talked about the biggest and best sweet shop, with tasty treats lined about the walls in glass cabinets, as they clambered into the dinghy. ‘I’m tired,’ Trinny stretched and snuggled down with Collie settled beside her. Ted yawned, the sun was warm. Soon they were all asleep. The wind picked up and tugged at the rope holding the boat to the pier. When Trinny woke she looked around, all she could see was water and a blue cloudless sky. Ted Bear Esquire stood up at the front of the boat and he began to whistle. Trinny saw a splash in the distance. Then another closer, she thought she saw a tail that looked like a whale’s tail, smaller, but, like those, she’d seen in books. Startled, Trinny almost fell out of the boat when one head then another popped up beside the boat. They were beautiful women with long hair and kindly eyes. They dived and splashed water into the boat, their tails seemed to change colour from green to gold. ‘Mermaids,’ Ted explained. Trinny clapped and her braids bounced again. Collie dog barked and Trinny had to hold her collar to settle her down. The boat started moving. ‘They are pushing us to shore,’ Ted nodded. Trinny was too excited to speak, they were going very fast. They were almost at the shore when Ted whistled goodbye to the Mermaids who dived and were gone. ‘Time to get out, and now Trinny, you have had your very own adventure.’ Collie bounced out of the boat and ran along the shore. Ted gave Trinny a wink and he whispered, ‘I’m not really a talking bear.’ Trinny laughed as her mother swept her up into her arms. Ted crushed between them. This story was published in AntipodeanSF online site in 2008. It gives you a flavour of my Sci-Fi Fantasy work, each month several short shorties of a quirky nature appear on http://www.antisf.com.au/ they also have radio broadcasts. Aleeta screamed, ‘ It’s in my head again.’ She rocked back in her seat then slumped forward. Greeb had taken on Haleb’s dare. Greeb was lost. This had started out as a laugh but now this science project was getting out of hand, he was being pushed along to the beat of an enormous heart. ‘I did it. You have to admit it!’ Haleb was scared. Theo lived through a blur in the weeks that followed. Aleeta had died of a cerebral aneurysm and death was instant the doctors had told him. His loss was immense, it was too unreal. ‘I warned you, your science experiment could be dangerous and not to do any practical tests,’ the old wise gremlin twitched his ears, he noticed his sons’ friend fidgeting. ‘Haleb, there have been no tests have there?’ The youngster shook, his face becoming a deeper embarrassed green. Greeb squirmed in his seat, he knew he was in trouble. Theo slept deeply for the first time in weeks. His eyes danced about. Images of a lean fit fighting Theo doing high karate kicks, running and striking, pummeling a punching bag, then a wall, more kicks, more hits filling his mind. He woke feeling exhilarated. Why? He walked outside and pulled down the for sale sign. There was no reason to leave, Aleeta loved this house, and he would keep it. Somehow he felt as though he’d taken action, revenge against the thief who stole his love from him. He would go on. Greeb cried in pain, a miniature Theo was running rampant inside his body. Each punch hit a raw nerve and each kick landed an agonizing mark. ‘Now you know how it feels. You will not meddle again!’ The old gremlin wagged his great ears and strode away from the crumpled imp. I was really thrilled to get this entry accepted as I really enjoy AntipodeanSF and had tried several times previously but not had an entry accepted. This was a third place winner in the Gold Coast Writers Assoc Short Story Competition in 1999. Bonfire Night was a special night when I was a child, fireworks were not banned, and every household made their own little pyre outside with rubbish and a handmade Guy Fox. This is a story about that time. I was a timid, curly-haired, little girl. Mum would cuddle me and laugh when my dimpled little chin quivered when I felt afraid. I felt that way a lot because I had four very loud and domineering sisters. A few days before the fifth of November, I would dawdle home from school, counting the growing mounds of rubbish being piled outside each house in our street. 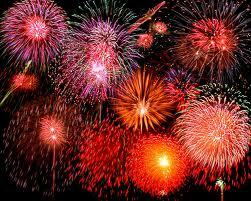 I marvelled how each household could find so much to set alight on that one special night of the year. 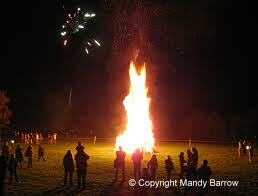 Bonfire night was always very special for me. I looked forward to the night when fireworks crackled and boomed, shattering the still night air, with a brilliant show of haphazard explosions. The spectacle of flashing lights illuminating the sky in vibrant cascades of colour left me breathless. I loved it. The year I was only about seven, on the eve of Bonfire night, I fell sick. My mother anxiously awaited the Doctors verdict at my bedside. These were the days when Doctors did still visit people at home. His words dashed my hopes of enjoying Bonfire night, I had a virus. I had to stay in bed, and, I could definitely not go out in the chilly night air. I hoped desperately that I would recover in time, but, the germs were against me, inside I had to stay. Disappointment filled my mind as I had wanted to see the Community Bonfire ablaze, as well as our own sizable mound of waste. The Community effort had been growing steadily for weeks on the nearby oval and stood as a monument to mankind’s ability to create junk. Crowned in layers by rubber tyres it was magnificent in height and stature. The tyres promised dense black smoke to obliterate the brightness of the fireworks. It was very common, at this time, for each household to have their own ‘incinerator’ to dispose of household garbage. The black ash that would result must have been accepted part of the evening’s entertainment. Dad had told us all some story about an Englishman called Guy Fawkes who started the whole event by getting killed. I couldn’t quite understand it then, and since learning that the poor man was tortured and hung for his views, I find it more amazing. People really do the strangest things to remember special historic moments. 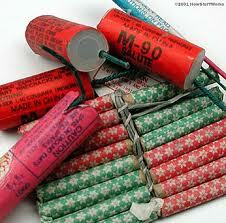 Naturally, at the time, it didn’t matter a fig to me how it all began, I just loved the fireworks and the street fires. My mother was resourceful and did not let me feel left out of the preparations for the night. We all joined in making our own Guy Fox. It was a combination of a ragged shirt and old trousers stuffed with paper, mounted on an old broom handle. The face was a huge paper bag filled with paper and crowned with an old hat. We drew a face on our ‘Guy’ then stood back to admire our handy- work. One older sister commented on how much better her friend from four doors away dummy looked. Much better and string tied trousers and shirt. We didn’t really care about that though, he would burn just the same. Although I pleaded to go out, my cries went unheard. I had to stay inside. Again Mum thought of a way to have me see proceedings. She sat me up on the kitchen bench top. It was a high bench and I was small and a bit afraid of falling. My head was thick and my eyes runny, my temperature high and I did feel miserable. Especially so when my sisters all followed a beaming excited Dad outside. From the bench, I could see smoke rising from the Bonfires although the six-foot fence blocked the view of the flames. My mother gave me sparklers which I clung to, attempting to bring the joyful lights closer, hoping to feel part of the occasion. I could see the rockets shooting towards the stars to explode in a bountiful eruption of colour. Everything in the sky was clear to see and dazzling. As for the ‘Flower Pots’ and ‘Catherine Wheels’ which gave their best show close at hand, I could only see the top of the show. Mum would appear through the gate yelling up to watch a spot she pointed to on the fence. 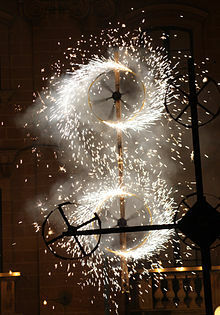 Dad was about to light a ‘Catherine Wheel’. Naturally, I tried to get the best out of what I could see. The whole sky seemed to light up from all angles and it was wonderful to see. I soon wished my family would come inside though, as I was feeling tired and a bit giddy. When my sisters did barge in through the door, they smelled of smoke and giggled. I felt envious even though I’d probably had a better view of the whole streets antics. Dad was still outside cleaning up the remaining residue from the burnt out fireworks when Mum lifted me off the kitchen bench. She declared I had a temperature. She asked if I had been crying. No, I declared, I’ve just got runny eyes and nose. I remember Mum holding my hand as she led me back to bed. She pulled back the blankets and made sure I was snug and warm. Next year, she said, you’ll be able to go outside. 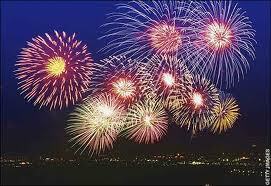 Yes, I thought happily, it’s only one year to Bonfire night. With that in mind, I closed my eyes and went soundly to sleep. As I grow older I’m reflecting more on my life. I guess that’s what everyone does, and photos from those early years are always fun to look at and treasure. Last Christmas my cousin sent me a Christmas photo taken outside the old weatherboard that was my Grandmother’s property, home to her, my Aunt and Uncle and their family. I’m sitting on the step beside two of my sisters and my older cousin. In front of me are my other two sisters and younger cousin. 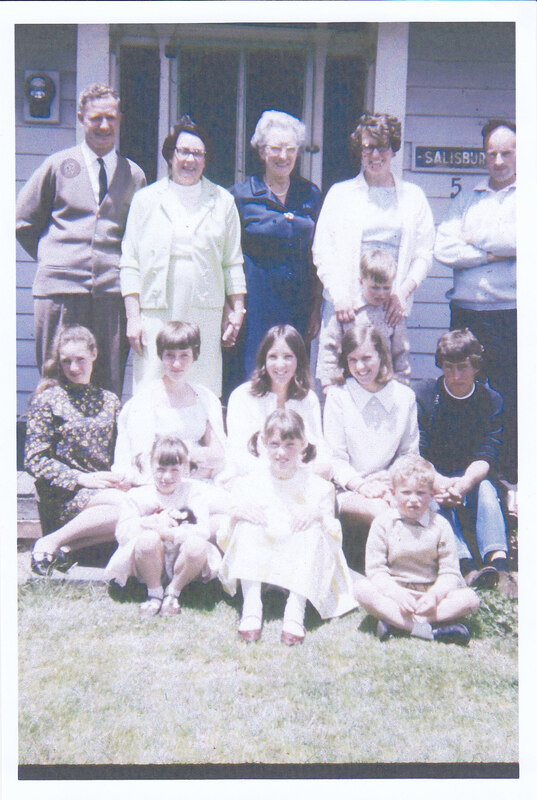 Behind me, stood my father and mother, grandmother and aunt and uncle with their youngest David in front of Aunty Marg. We are all dressed in our Sunday best. Looking at the picture I realise that I’m wearing a brown dress with yellow flower pattern all over it, with long sleeves and roll neck. All my sisters and our eldest cousin Faye are wearing white dresses. Even the youngest cousin Robert is wearing tan shorts and jumper over a white shirt. Only my second eldest cousin Chris, about fourteen at that time, and going through that brooding teenage rebellious period, wore a blue jumper and jeans. Whoever took the picture, may have been Uncle Dan, set up the shot with me one side of my sisters and white clad kin, and Chris on the opposite side to give it a balance. My grandmother and matriarch of the family was wearing a blue dress with a collar and a large brooch, she was always a finely dressed woman. Mum and Aunty Marg were wearing white either side of her and my Dad and Uncle Ron stood either side of the backline with me and Chris in front. I often wore dark colours and now that I reflect on it, I was covering myself up and making myself unnoticeable. My hair was pulled back in a ponytail cascading down my back. I didn’t smile. 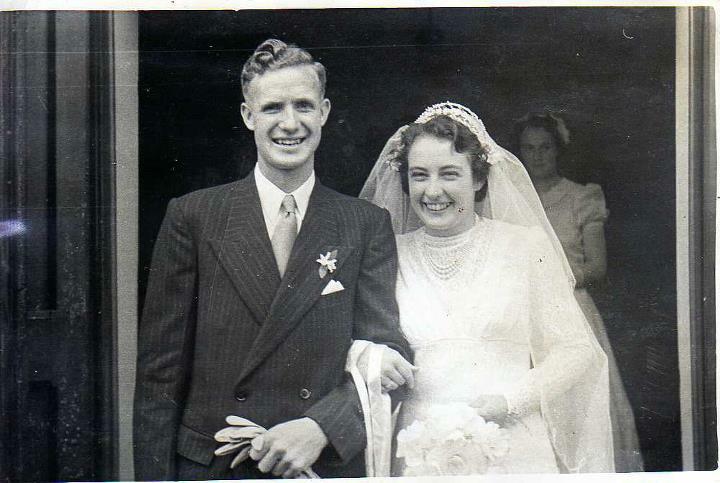 My eldest sister Pam smiled beautifully and so did Faye. They were they both seemed to me to be self-confident and happy with themselves. Of course, not everyone smiles in the obligatory Christmas photo. Chris looked surly. My baby sister Sue looked about to cry and my next younger sister Judy, halfway to smiling, she seemed to be grimacing as a result. Aunty Marg had her hands resting on baby David’s shoulders in a reassuring way, he looked like he had been crying. My mum and my grandmother were holding hands. The three ladies spectacles seemed to line up, while my dad had his shirt and tie on with a brown cardigan and his hands behind his back, he looked comfortable. Uncle Ron, on the other hand, had his open neck shirt collar sticking out from his light tan jumper had his arms folded across his chest, clearly ready to run as soon as the photographer had finished the task. Like a loving embrace the old weatherboard behind, its main entrance and nameplate announcing Salisbury Five shouted comfortable family home. The grass the three youngest were sitting on patchy and sun-dried. 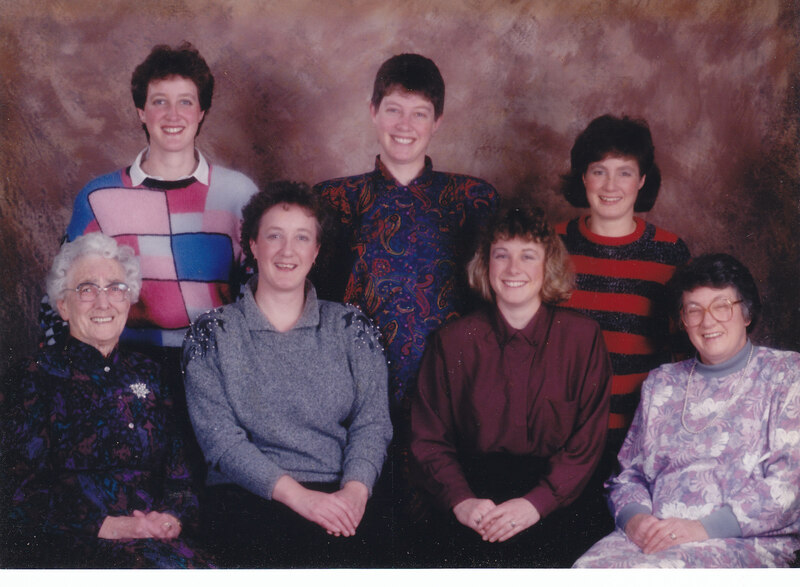 Many years later as a gift for either Gran or Mum, I’m not sure which, all the girls sat for a portrait photo. We all smiled this time, all married and moved on to different stages in our lives. Gran was again resplendent in a patterned dress and large brooch. My mother wore a purple patterned top and her precious pearls. Between them were the five girls, two between Mum and Gran and three others behind. 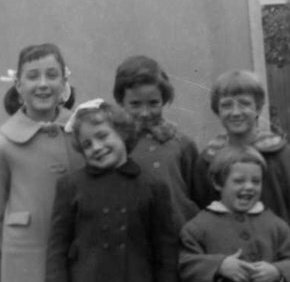 I recall the photographer groaning when I walked in with a red and black horizontal striped jumper as my next eldest sister Wendy had arrived in a crosspatch jumper. Fortunately my next younger sister Judy had worn a dark patterned shirt that separated the two offending patterns. A few years after that I had moved interstate and apparently deserted the family. My mother came to visit and happily attended Grandparents day at the Primary school at the end of our street. She clapped and heaped praise on our son when he ran in his races on Sports day. I remember whenever we were together we held hands. Just as mum had done with Gran and we sought out each other’s touch. It was very precious to me as her stays were so brief and the time in between her visits undetermined. I only knew that I felt as though my mother was the most caring wonderful person in the world. I valued everything about her and enjoyed every opportunity to walk and talk and hold hands. Several years later our son brought home his girlfriend for Christmas, she was surprised we had gifts for her. I thought she must feel unloved if she had not realized that gifts were given freely in a loving family environment. We soon discovered the truth of the situation and I did strive to be a good mum-in-law when they married, to offer her support and open affection. She rejected my son and my advice was considered interfering. The one good Christmas we had with our future daughter in law, she was still very much an insecure child that we had welcomed into our family home, at that time she was glad to be there. Now as another Christmas day approaches, the decorations are up, the Christmas tree in the corner of the family room with presents piled beneath it, we look forward to making new memories for our two beautiful grand-daughters, I can only hope that they will grow into secure happy women, with me holding their small hands in mine and helping them along that path. I look back at how I changed from a timid young teen and became the woman I am today. That shy gangly girl has transformed herself into a happy person, learning and growing still and being glad in every achievement. I think that that is the very best Christmas present I can give myself, confidence to go and share my thoughts, to write and enjoy sharing my craft, to live and share the abundant love I have for my family with them, making memories that they will recall all their lives. Thanks Janette, I’m glad you enjoyed this story.